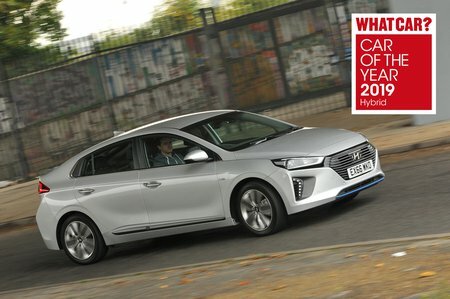 Hyundai Ioniq Interior, Sat Nav, Dashboard | What Car? 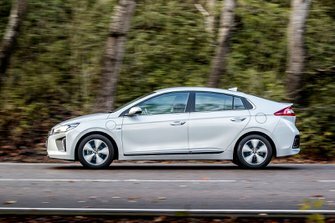 The Ioniq driver is treated to plenty of seat and wheel adjustment, and pedals that are set nicely in line with the seat for a natural stance. Front visibility is good, but the view over your shoulder is obscured by the sweeping roofline. Fear not, though, because you get standard rear parking sensors and a rear-view camera across the range. Entry-level SE trim comes with a 5.0in colour touchscreen, but stepping up to Premium spec brings an upgrade to 8.0in and TomTom sat-nav. The latter is the only system we’ve tried thus far and is very good, with responsive menus that are easy to work through. You get other benefits with the upgrade, including life-long map updates and Apple CarPlay/Android Auto smartphone connectivity. There's also Premium SE, which adds front and rear parking sensors, electric seat adjustment and blind spot warning. It is a bit of a jump in price, though, so you'll have to weigh up if the added options are worth the extra. 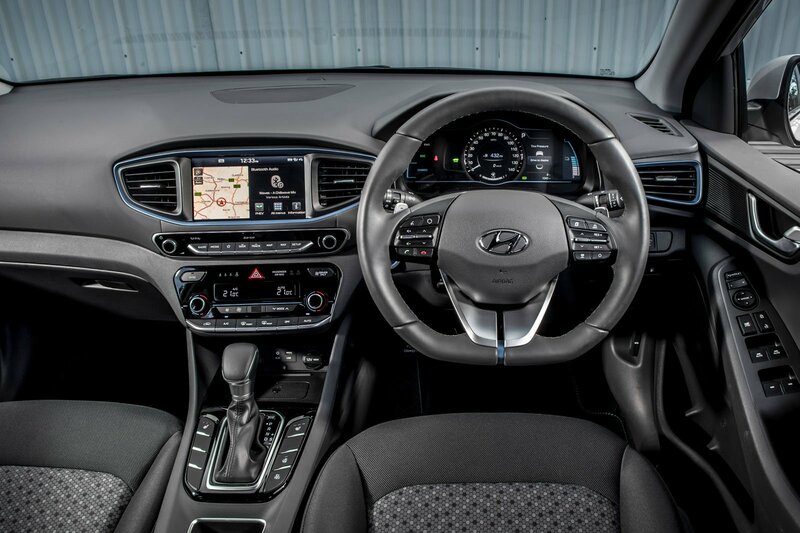 The interior is quite plainly styled, but Hyundai has done a good job with quality and ergonomics. The upper surfaces use plenty of soft-touch materials and all the switches feel robust. Everything is well laid out, and is both smarter and easier to use than the Toyota Prius. That said, the Volkswagen Golf GTE’s interior feels plusher still.